Can we improve the nutrition quality of the food supply by restraining international trade? Because the Donald Trump administration is rolling back U.S. commitments in major trade agreements, our trading partners are retaliating with import restraints on U.S. food and agricultural products. For example, the European Union (EU) may erect new trade barriers on peanut butter, sweetcorn, and orange juice. Canada may impose barriers on yogurt, processed meals with meats, pizza, maple syrup, cucumbers, and many other products. Notice the diversity of nutrition profiles for these products. Food that would have been sent to Europe or Canada will instead remain on the U.S. market. The question for my new video (fourth in a series) is: Can we improve the nutrition quality of the food supply by restraining international trade? 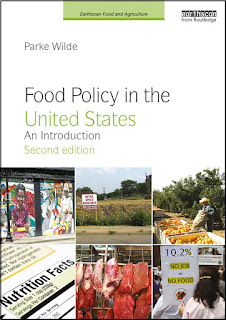 Parke Wilde - Nutrition Quality and International Trade from Tufts Friedman School on Vimeo.